When it comes to jewellery, I like to try out different pieces, but I always have my 'everyday' pieces that I throw on and wear everyday. The pieces I wear all (mostly!) have meaning, which makes them nicer to wear and carry around with me! If I leave the house without my rings on, I feel like something is missing and i'm constantly fiddling all day thinking they have slipped off my fingers, having a mini heart attack every time I think they have been gone forever. 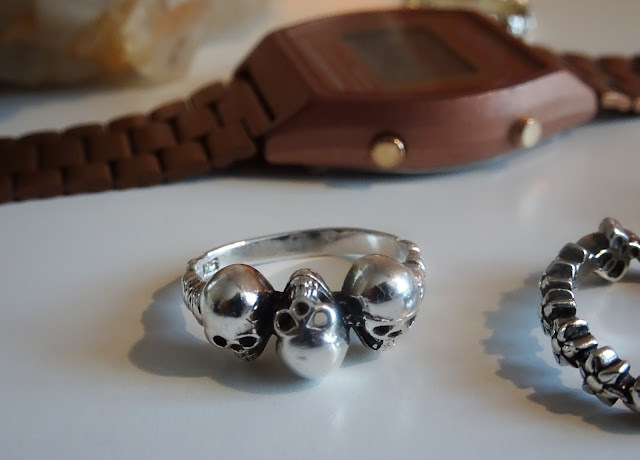 I always wear 3 rings, the first one is my skull ring that i've worn for around 5 years now. Anyone that knows me, knows my slight gothic love for skulls. My parents bought me this from the Lanes in Brighton for my birthday and Brighton is also a fond memory for me as it was where I spent my 21st birthday. The other two rings are BIBA stacked rings - one gold and one silver with a flower like pattern around to make bigger flower/petal pattern at the front. 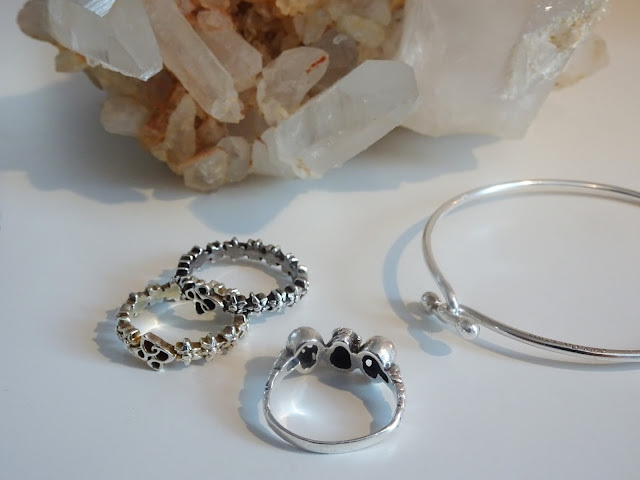 These rings where bought by my brother, which means all the rings I wear were bought by my family which I really like. 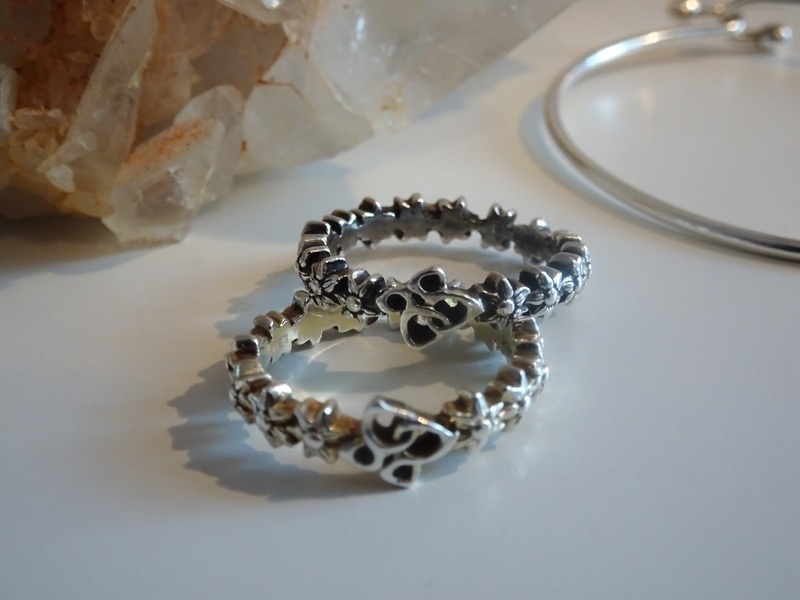 I like that these rings are both silver and gold so it works everyday to mix and match with other jewellery. I tend to find it hard to wear good fitting bracelets that don't slip off (skinny wrists over here!) especially when I wear it everyday. My silver bangle is from Tiffany & Co and was bought from my girlfriends 2 years ago. I love the simple design and how it will go with anything as well as adding to multiple bracelets if needed. 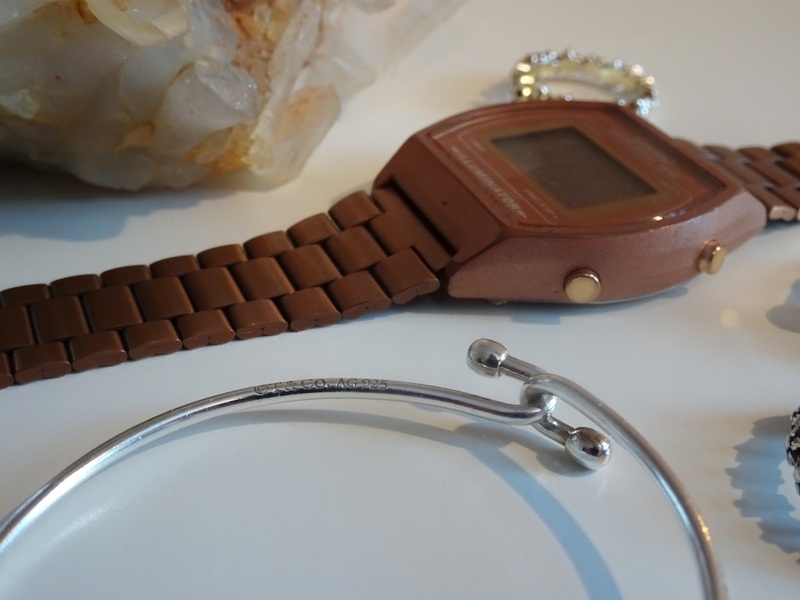 My watch is the piece I tend to change the most, but I will always wear a watch! 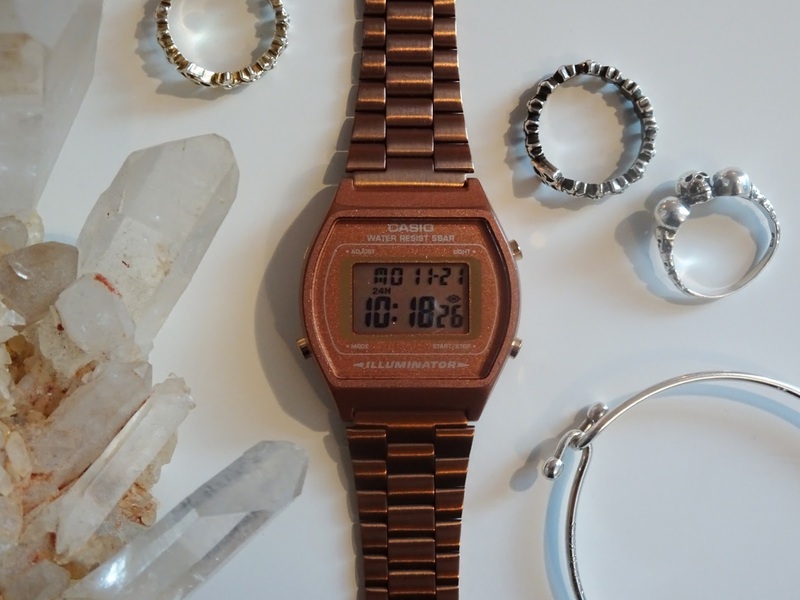 At the moment I love my rose gold Casio. 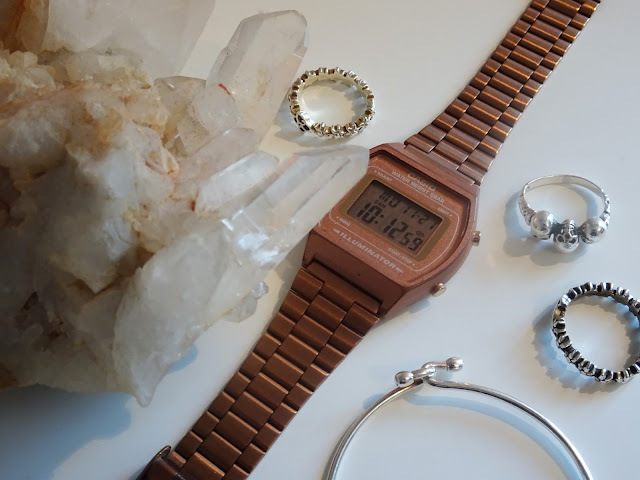 I like the idea that a watch is useful as well as an additional bracelet, so I picked rose gold which I feels goes well with my skin tone and brings my silver and gold jewellery together. I think jewellery can make an outfit and show a little extra to getting ready in the morning. I wear all of these pieces every day 24/7 (except to shower!) and I love how easy and wearable they all are, as well as holding little memories to carry around from some of my loved ones all day! 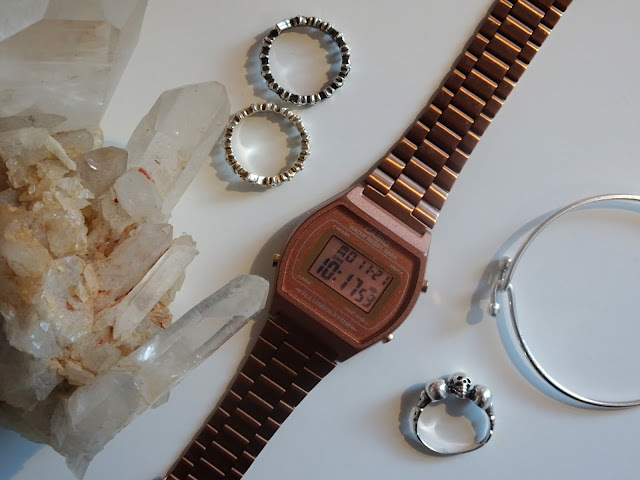 Do you guys wear jewellery everyday? 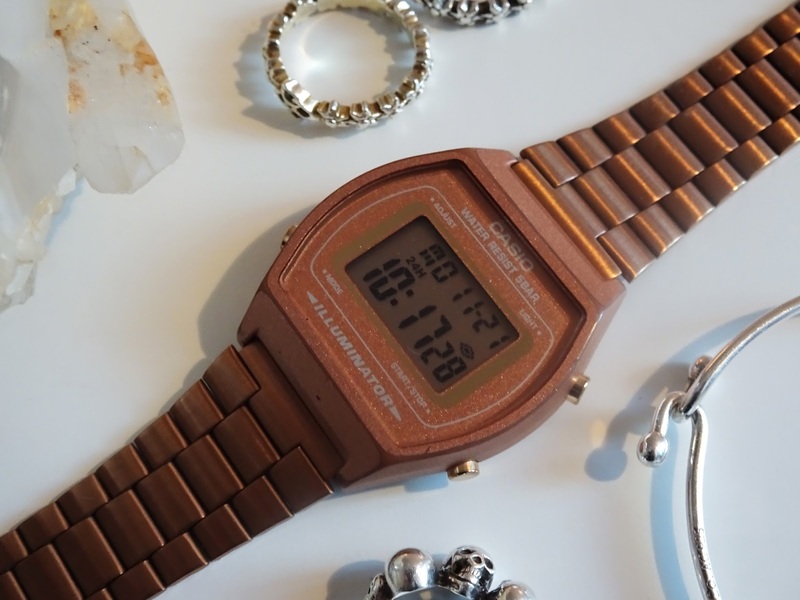 If so, link me some pieces!